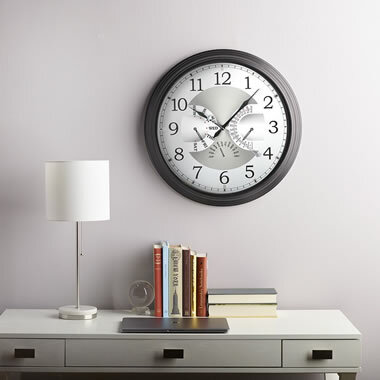 Created exclusively for Hammacher Schlemmer, this is the wall clock that displays the time, calendar date, day of the week, and month. 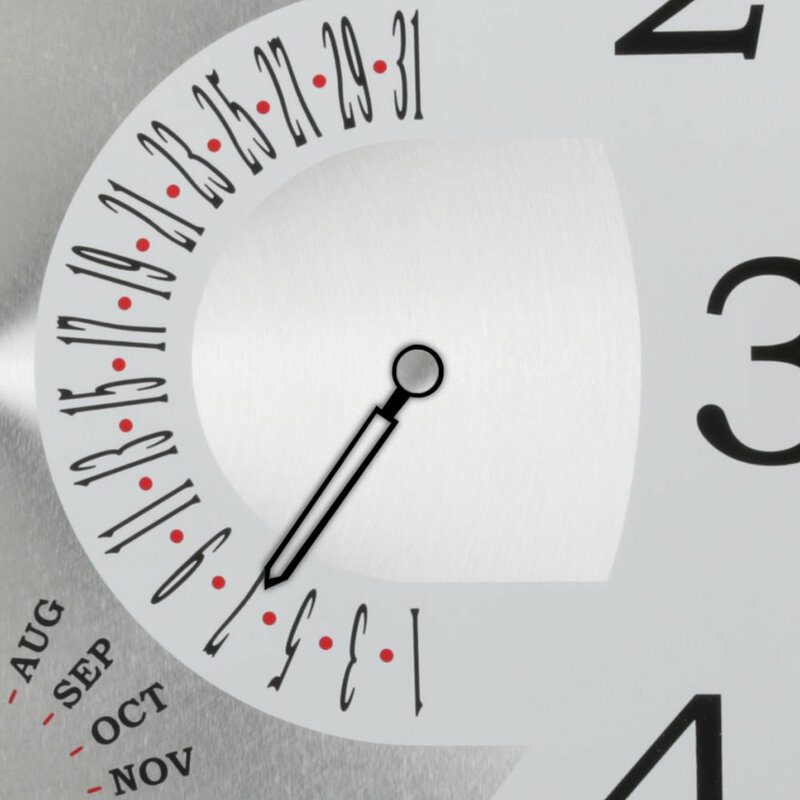 Its quartz movement provides accurate timekeeping and tracks 28, 30, and 31-day months without the need for manual adjustment. 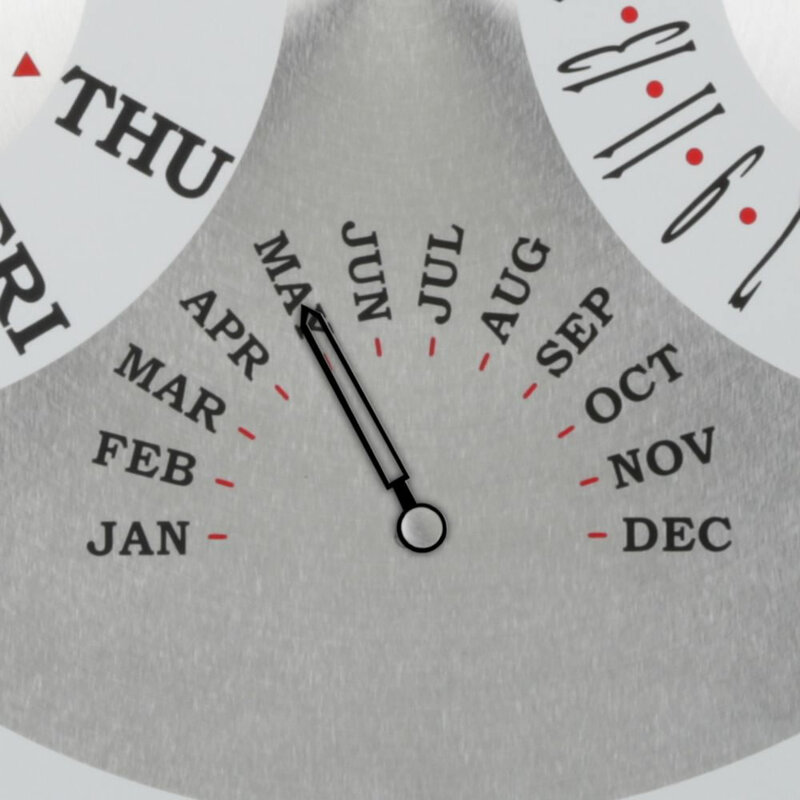 It has 1 1/2"-tall digits that can be clearly read from across a room and uses three separate subfaces with hands that provide the date, day, and month. Requires two AA batteries. White face, Black metal frame. 17 3/4" Diam. 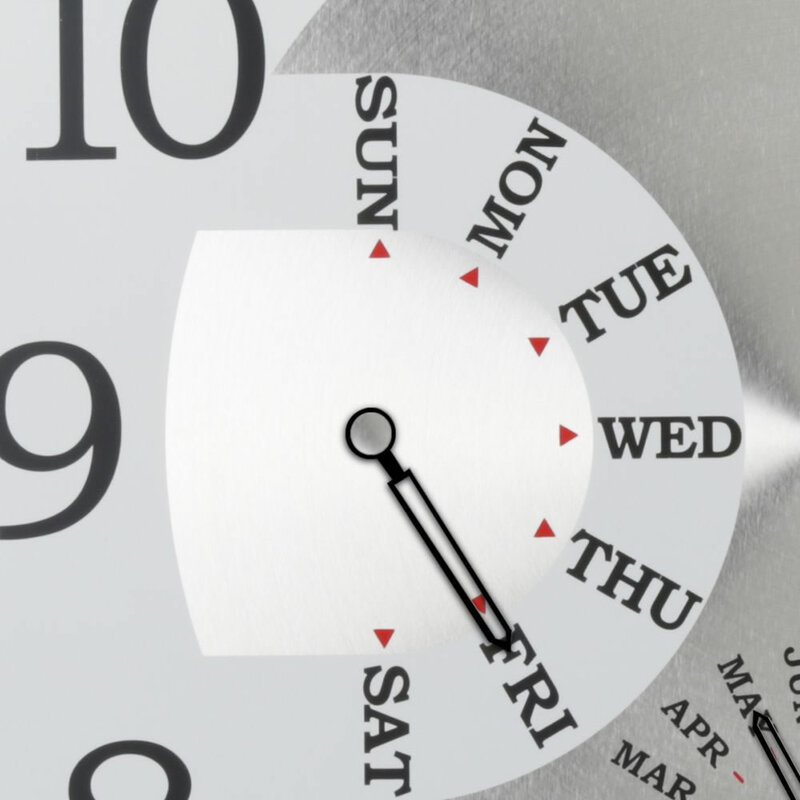 x 3" D.
The Always Accurate Calendar Wall Clock comes with The Hammacher Schlemmer Lifetime Guarantee. Items that we sell are guaranteed for their normal life under standard non-commercial use.